It turned into one of those days where you mosey through it in a dazed, numbed, fashion. The cloudy dank weather outside only reinforces what is going on inside. What brought this on? 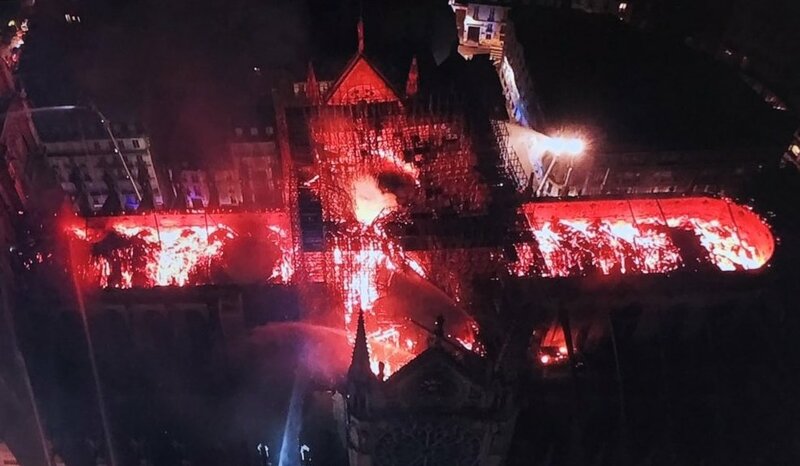 The tragic fire at Notre Dame. I was sitting down to write when I saw a post on my Twitter feed. At first, I was like what? I quickly tuned in to France24 Live and proceeded to watch the building collapse in on itself. Fortunately, the two towers and stone structure survive. I love Paris and Notre Dame is the heart of Paris. Literally sitting where the the town started. It has always been an awestruck place to visit. With good reason Victor Hugo chose it as the setting for his book, Hunchback Of Notre Dame. The place is iconic in both culture and history. They will rebuild it. Will it be done in my lifetime? I don’t know. But I can’t but ache after today’s events. Fortunately, no one died. No serious injuries. The art and religious items were saved. It could’ve been much worse. I hold fond memories of the place and will cling to those for now. 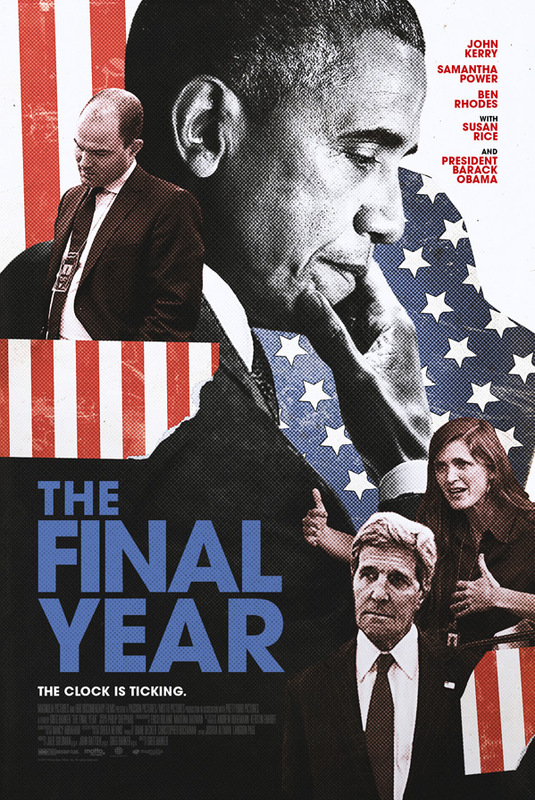 This documentary about the foreign policy in the last year of the Obama Presidency reveals a lot about that administration and the country as a whole. It was a time when China, Syria, Cuba, the Paris Climate Accords were all at major stages. The film focuses on four, prominent and powerful players in those historical moments: Samantha Power; Ben Rhodes; John Kerry; and President Obama. It doesn’t take but a few minutes into the film to realize why the Trump administration has failed so miserably on foreign policy. The people in this film were working 24/7, knew the life-death stakes of their decisions, and strove to make the moral and best choices for the country as deemed best by results in the long-run. All things the Trump administration never does. Change doesn’t happen by itself. You have to work at it. I was caught up - as I always am by her - in Samantha Power’s genuine concern for the people in the countries she was trying to help. Whether it be visiting parents of the victims of Boco Haram, speaking at an immigrant swearing-in ceremony, or challenging Russia in the U.N., her passion was always on display. I’m a huge fan of hers and find her inspirational. Although, for some reason, I didn’t know until this film that she was a migrant from Ireland. Ben Rhodes hit home some good points in this movie. I think one of the best ones was when he was in a conference room after talks with the Chinese and he spoke about all the issues and things the administration had done, and then pointed out how the U.S. press covered almost none of it, being more focused on Trump’s twitter feed instead. This is how - in large part - we’ve gotten us in the unholy mess we are in now. I was also struck by his interactions in Laos, Vietnam, and the trip to Hiroshima where the President made a speech. Avoiding war and the cost of war is a constant theme when these people are talking. And no one touched on that subject more forcefully than John Kerry. Whatever your views on Kerry, he will no doubt go down in history as probably the hardest working Secretary of State this country has had up until now. While his successors had to call off meetings for nap times, Kerry was on the go 24/7, handling several issues at once. I think the movie said that during the week of the U.N. General Assembly he had 70 meetings with representatives from other countries. Let that sink in for a moment. The movie was great at showing how labor intensive these jobs can be but I thought it fell short because it never let you follow the progress - good or bad - on any particular issue. Now that may be due to security reasons, I don’t know. But it leaves a void in the story arc that, if dealt with, would have turned this movie from good to great. The Final Year is interesting and and well made. Even with the flaw I mentioned, I still give this a 4 of 5 on the rating scale. It was depressing in the sense that in watching this, you realize how far this country has fallen in the last couple years. On the other hand, the people in this movie do give you hope that the future can be rescued. This book arrived via a friend as a Christmas gift this past year. She is a teacher in Europe and uses it - like many teachers - as a textbook for her students when teaching the Holocaust. Maus is written, (or should I say drawn?) by Art Spiegelman and was the winner of a Pulitzer Prize. The book is different on many levels, beginning with the fact it is presented as a cartoon. Jews are mice. Poles pigs. French frogs. Germans dogs. And it does succeed in telling the story of the Holocaust, as seen through the eyes of Spiegelman’s dad. Both of Spiegelman’s parents were Auschwitz survivors. It is this relationship with his dad, that runs as a common thread throughout the book. For this is a story of a son trying to understand the complexities of their relationship and to learn more about his mother, and how the pair survived the Nazis. If you think the relationship between Spiegelman and his father is portrayed as all lovey dubby then think again. It is a very real, difficult relationship that Freud would’ve held up as an example in a classroom for his students. They are mean, short-tempered, dismissive, demanding, callous, and yes, loving. It is a very real depiction. The Holocaust is shown in all its brutality and horror. We see the dead and dying. We see the illness, the desperation, and the betrayal by Poles and other groups, including Jews looking out for themselves. It is an excellent introduction into the life of this era, from a Jewish perspective. The reader is also exposed to the aftermath of the Holocaust and what it means to be a survivor. Like any trauma victim, Holocaust survivors suffered by and large from psychological scars that played out in their everyday lives after the war. This was a great gift because it is a great book. The fact, a special friend connected me to it makes this literary work an invaluable prize on my bookshelf. The rating on this book is easily 5 of 5. Share it with your own kids or someone who needs to learn about the era. Dog-tired on a Friday night, and I stumbled across this film on Netflix. I knew of it from a couple years ago but was one of those critically acclaimed movies that seems to evade wide-release. For instance, 2018’s A Private War falls into that pattern. I’m having to wait for the DVD release. 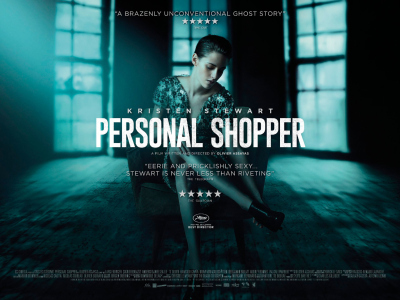 Thanks to Netflix, I didn’t have to rent Personal Shopper. And what a unique story this was from the director of Clouds Of Sils Maria, which also starred Kristen Stewart and made her the first American to win France’s highest acting honor for her supporting role. In Personal Shopper, Stewart plays a … well, you guessed it …. personal shopper. Living in Paris, she has put her life on hold because her twin brother recently died from a rare heart ailment. He was a medium and she’s waiting for a sign from him. Along the way, we see how her brother’s friends are reacting and what kind of boss she has. And if that isn’t enough, a murder occurs to add a little psychological edge. This is part ghost story. It is part mystery. Mostly, it is coming to terms with death and the twists that life throws in your path. This is a drama, low-key on the action, but it is intense. Very much Stewart’s vehicle, she holds your attention from start to finish. I was wondering why watching this why I’ve always liked Stewart as an actress. And I think I boiled it down to two items. First, she deftly handles emotional range. It is almost like she changes gears in a slight of hand fashion. Secondly, she reminds you of someone you run into everyday. She is your co-worker. Your neighbor. A cousin. There isn’t that gulf that typically separates you from the Hollywood type. Hopefully, you get what I am saying. One question though, can Stewart really text as fast as she does in this movie? I was impressed. For a movie a bit off the beaten path, Personal Shopper, is worth the view. I give it a strong 4 of 5 on the rating scale. This book by Ivan Krastev came to me by way of a holiday present. It isn’t a lengthy work at around 120 pages, but Krastev is a well-respected international analyst out of Bulgaria who makes the most of each page to drive home his assessment about the European - and the world-at-large - situation. Migration Is The New Form Of Revolution - I’d never viewed migration in these terms. People are changing their world with their feet rather than by force of arms. There is strong logic behind this point. Tech Is Another Form Of Revolution - Krastev hints at this but I think it is a natural conclusion. How many apps do you have on your phone that were created because someone didn’t like the political or economic system they were faced with? Elites Relate More To Other Elites Instead of Other Classes - Elites view themselves more as a citizen of a class rather than place. A one-percenter or politico has more in common with another one-percenter or politico on the other side of the planet than they do with someone on the poorer side of their town. Sacrifice Is A Lost Art - Toward the end of the book, Krastev talks about how a person use to have to sacrifice to climb up the professional or economic ladder. That’s not true anymore and one reason people feel elites are out of touch (and they are) is because elites never sacrifice. They have no real skin in the game. I found these four points to be the ones that will stick with me the most over time. Like I said, this isn’t a lengthy read but a compelling one. Thanks to my friend for this gift that rates 5 of 5 on the rating scale.